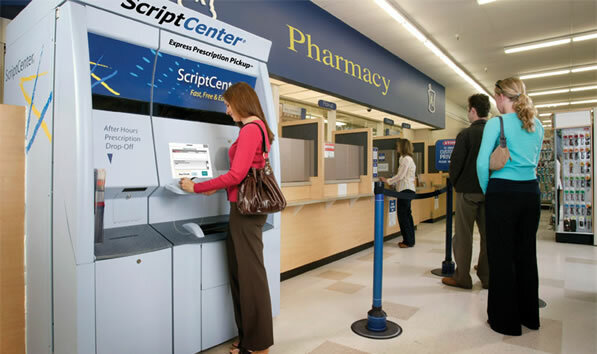 ScriptCenter offers customers a faster way to drop off and pick up their prescriptions, even when the pharmacy is closed. First-time customers undergo a simple one-time enrollment to create their unique ID and PIN. Following enrollment, ScriptCenter is as easy as an ATM. For customers who seek a pharmacy consultation after hours, the receipt includes a phone number to reach a pharmacist.